"I am proud to work for the best Real Estate Company in the area. You will not find a more progressive, aggressive, up to date company anywhere! We can service all your real estate needs. No deal too large or small!" 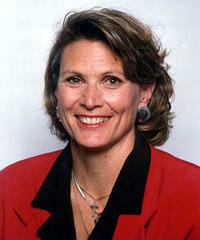 Carrie is a member of the National and Minnesota Association of Realtors. She has served on the Executive Board of the Greater Lakes Association of Realtors for seven years and is the current Past President. Carrie has earned her GRI (Graduate Realtors Institute) designation and the prestigious CRS (Certified Residential Specialist) designation. She has also been awarded the SRES (Seniors Real Estate Specialist) designation. This recognizes the special issues and needs of senior property owners and provided training and education opportunities to Realtors desiring to cater to seniors. Carrie is also an ABR (Accredited Buyers Representative) to better help represent buyers in a transaction. As the President of the Greater Lakes Women's Council of Realtors, Carrie has a wide network for referrals. This group provides nationwide contacts for buyers and sellers alike.